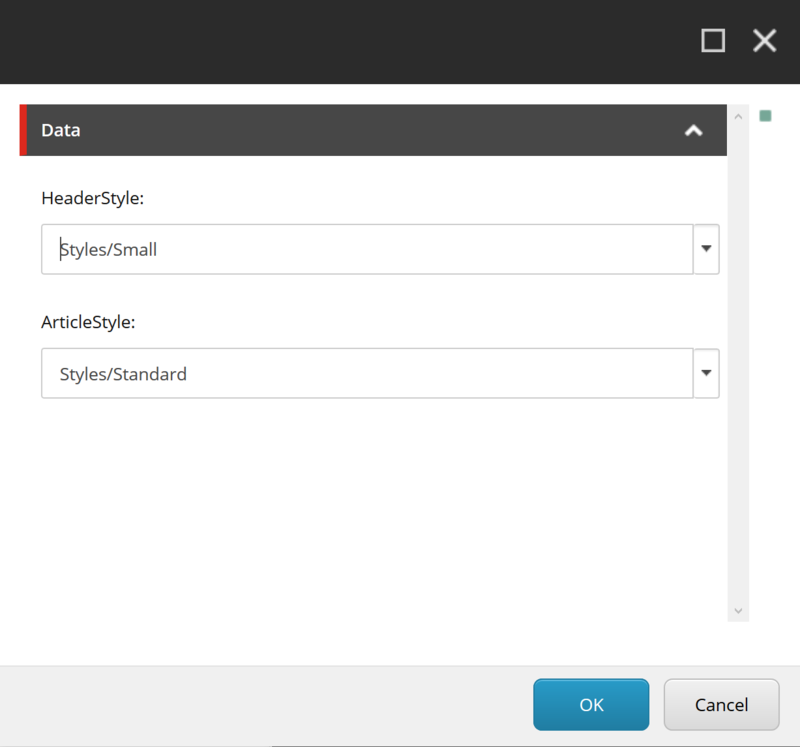 One of “must have” tasks in Sitecore implementation is editing meta data related with pages and components. Ideally content authors should have the ability to edit it directly from experience editor. I noticed in many implementation that “Edit Frames” are used to achieve this. Edit Frames are easy to implement from developers perspective (especially with Glass Mapper), but they may not be as convenient for content authors for meta data editing scenario, cause “Edit Frame” creates additional layer over components, which may be confusing for authors if editing something related with page context (like page’s meta title, or meta description). 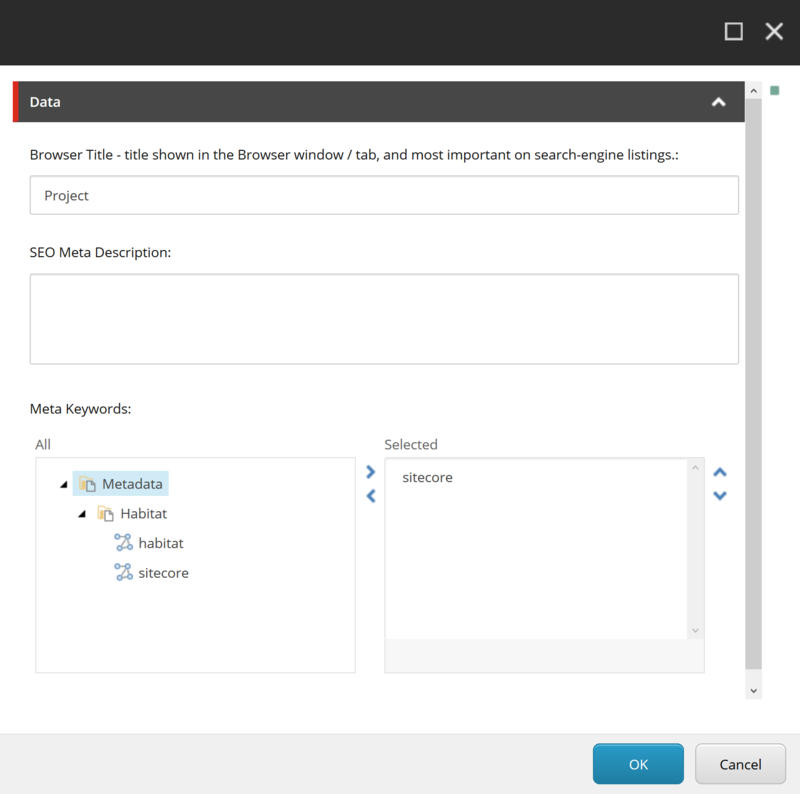 Actually there is an easy way to add editing capabilities to Sitecore, using additional ribbons and context menu buttons. Page metadata may be for example SEO related meta tags. The goal is to add new main menu item in the page context, which will trigger pop up containing fields from current page’s item. 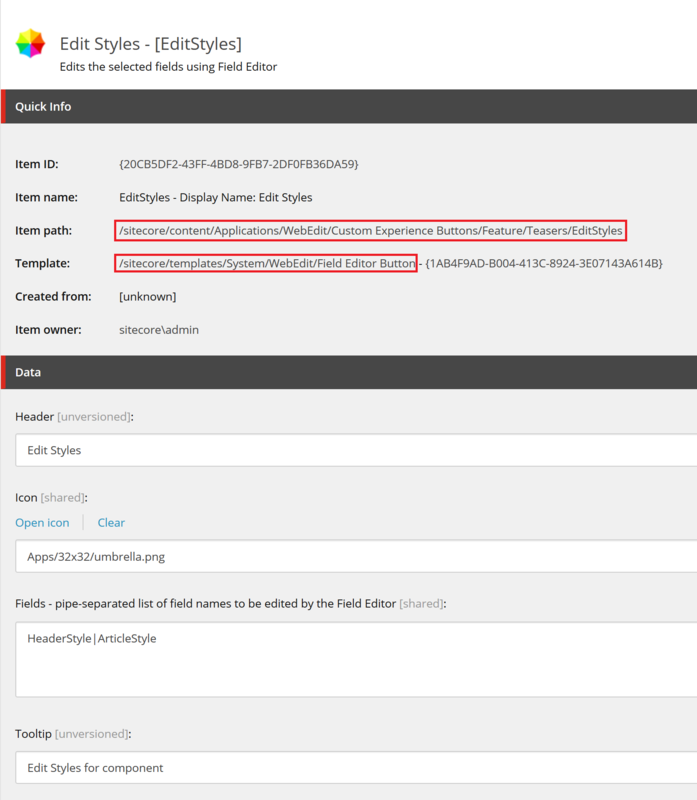 Let’s start with adding new menu item in core database under “/sitecore/content/Applications/WebEdit/Ribbons/WebEdit/Page Editor/Edit” using one of the buttons template (e.g. “Small Button”). We need to fill the “Header”, “Icon” and “Tooltip” fields, but also enter command name “trigger:button:click” in “Click” field and a custom “ID”. Now we need to define js function for SPEAK command. The code will pass field names to the pipeline, which returns URL for editing area for given fields. Finally it opens the area in new dialog window. Mind that this code works on Sitecore 8.1 and above (for earlier versions check source article from references). After deploying the code, new button should appear in the “Edit” section in the Experience Editor’s menu. 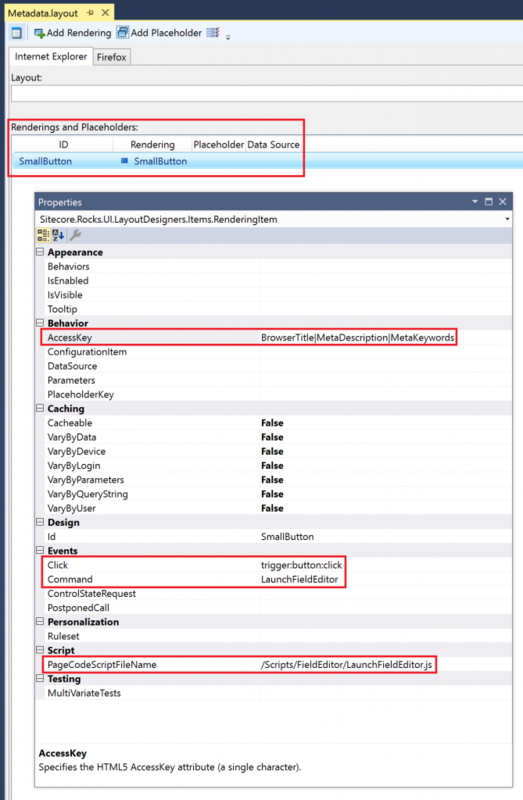 Component related metadata are usually some properties which are not render directly in the view, but affect somehow the component, for example it may be style selector, or order of displayed elements.